Hi Everyone! 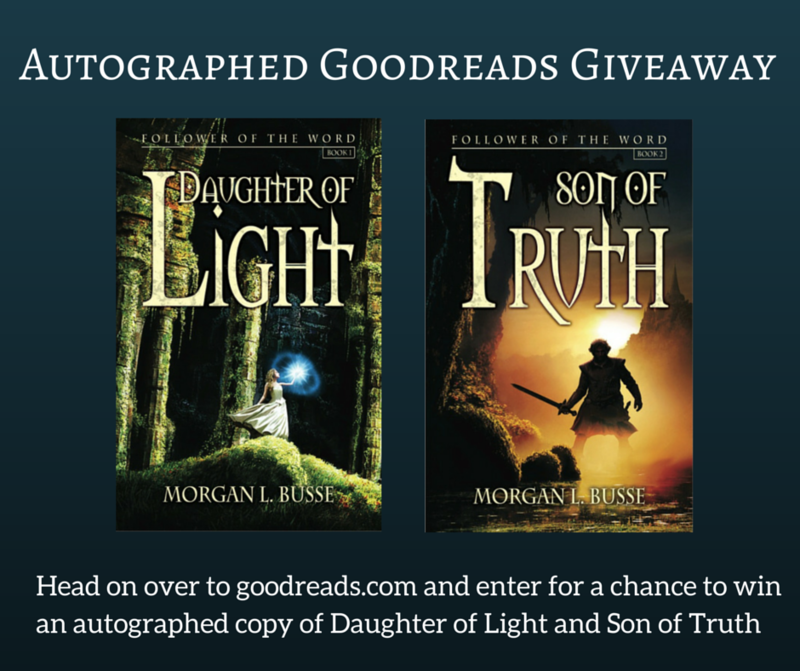 In celebration of the soon-to-be released Heir of Hope and the new covers, I am holding a giveaway for one signed paperback copy of Daughter of Light and Son of Truth in their new covers! As you may have noticed, things have changed around my website. I am excited to reveal not only the new cover for Heir of Hope, but for all three books in the Follower of the Word series. There was a glitch on the ebook pre-order, but as soon as it is available, I will let you all know. Thank you, everyone, for your patience as you waited for the last book in the Follower of the Word series. This book is definitely worth the wait! Many of the authors at Enclave Publishing are doing Goodreads giveaways this month (including my own book). 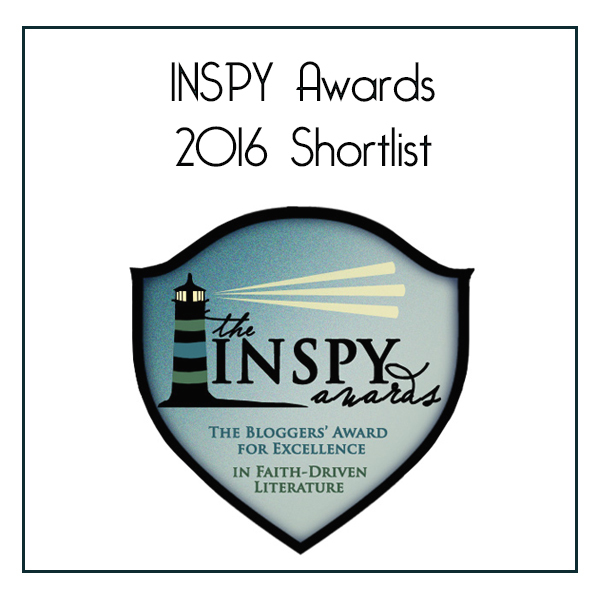 Here is a list of the books and links to their giveaways. Hopefully you find some great reads listed here! Many of you are anxiously awaiting the final book in the Follower of the Word series, so I thought I would catch you up on what I know and what I can share. Tomorrow I turn in the manuscript. Micro edits. That’s where my editor and I polish up every single sentence. We hope to be done with that by the first week of November. Then I’m pretty much done until the galleys arrive, the final proof before the story heads off to the printers. The cover is also in the works right now and I should be seeing something this month (can’t wait!). Then pre-release stuff (like early reviews and possible endorsements, along with a cover reveal). Then finally it will be here for all of you to read. 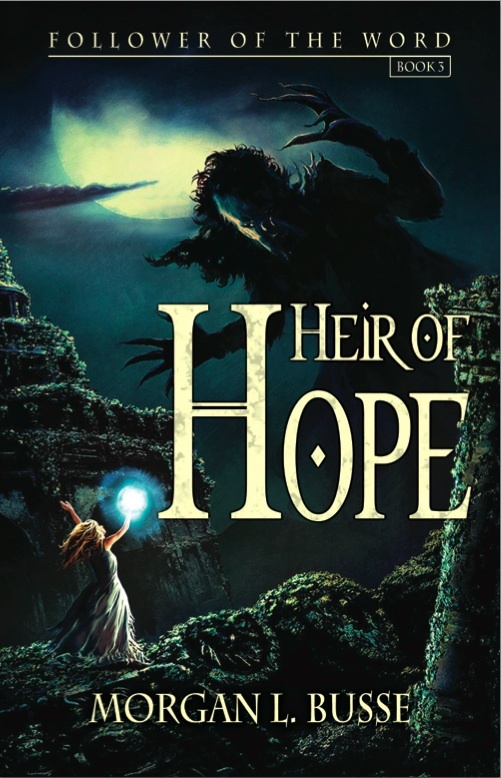 Having just finished the book again this afternoon, I can tell you Heir of Hope is definitely worth the wait. It has been an emotional journey for me and there were days I wasn’t sure I would ever finish this book. But here it is and almost done. So there you go. Less than six months to the release date (barring any unforeseen circumstances). In the meantime, stay tuned for more details such as the cover, blurbs, and other exciting things. And if you want to really make sure you don’t miss anything, consider signing up for my newsletter. 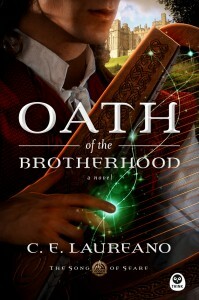 Oath of the Brotherhood by C.E. 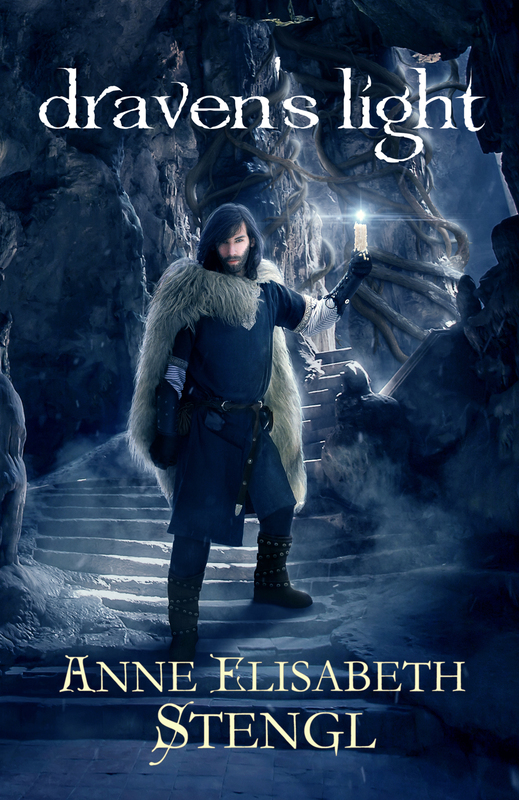 Laureano is a Celtic fantasy and the first I’ve read of its kind. The story revolves around Conor Mac Nir, a young nobleman gifted in music in a magical sort of way. When he plays the harp, he is able to draw on magic. But he’s not the only one with magical abilities. 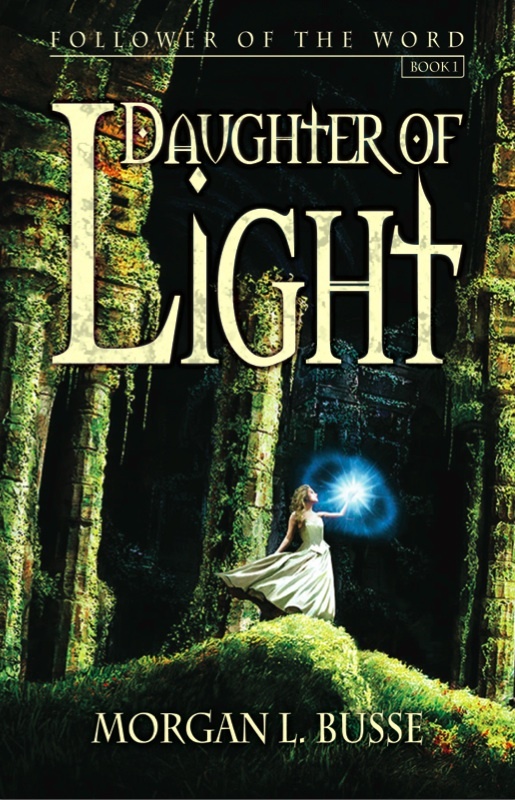 Aine is a noblewoman, healer, and able to see the future, though not always so clearly. When the clans go to war, something deeper is paving the warpath, an ancient magic that wants to eradicate those who follow Balus. Conor and Aine race to find the harp of Meallachan, an instrument that under Conor’s power can turn back the tide of evil…if he can find it in time. Oath of the Brotherhood was a very different kind of fantasy compared to the usual medieval fare. The names, the places, and the feel of the book were definitely Celtic in nature. As a fan of anything Celtic, I very much enjoyed this story. The only thing I found hard were all the names and places at the beginning of the story, so it made it a bit of a slow read until I had the people and places firmly fixed in my mind. Oath of the Brotherhood is the first book in The Song of the Seare series, so it ends with more to come. I recommend Oath of the Brotherhood for those who enjoy fantasy. Hi everyone! Today I have the pleasure of participating in The Seahorse Legacy blog hop. The Seahorse Legacy is the third book in the Eyes of E’veria series, but it is the first book in a mini series within the series. Let me say this: I really enjoyed this book. It is a pirate fantasy with a young lady knight thrown in. Curious? Just read my review below and don’t forget to enter both raffles for a chance to win books and pirate prizes! Cazien is the captain of the Seahorse Pirates and holder of his family’s Legacy, a legacy that gives him special abilities linked to the sea and binds him to a secret oath, one that chose his bride for him hundreds of years before he was born. Of course, being a pirate, he doesn’t like to be told what to do, or in this case, who to marry. Eirelle is the first woman to ever be knighted in Everia, an honor she has desired ever since she was a child. But little does she know her allegiance is owed to another country, one bound by marriage: her marriage. Everything is at stake for Cazien. He must woo and wed Eirelle (or just grab her and run) in order to fulfill his family’s oath. If he doesn’t wed her, not only will he lose his abilities through the seahorse legacy, the people of his island country will be captured and all of Everia will be at risk. But how do you get a pirate to do what he doesn’t want to do? I loved The Seahorse Legacy. I also loved Serena’s first two books (check out my reviews here: The Ryn and The Remedy), but I have to say I liked this one a little more. What can I say? I’m more of a pirate lover than a knight lover :). Both Cazien and Erielle are mixed characters: good, but flawed. And I liked that. I also loved the connection Cazien has with the sea. As a sea-loving woman, I would love to have his abilities, or to even sail on his ship. This is the first book in a two book series, so it does end without everything resolved. But that only makes me want the next book now! And don’t forget to enter both raffles for a chance to win The Seahorse Legacy and other prizes! A couple days ago I was invited by my friend Ralene Burke to blog about my writing process and what I’m working on. So I said sure, why not? I’m always curious about what my favorite authors are up to and I thought you might be the same. So here we go! I’ve been working on this book for almost a year and let me tell you, this is going to be one big book. It finished at 48 chapters (not including the epilogue) and at least 150,000 words (your average book is usually 80,000). So what am I working on now? My rough drafts are usually the bulk of the story. In other words, I don’t do a lot of rewrites. The story is here, it just needs a bit of clean up. So that’s what I’m working on right now: I’m checking the pacing and continuity, adding description if it needs it, and anything else I find. I should be done in a month and then off it goes to my beta readers, then to my editor. Whew! I write fantasy, but my fantasy lacks the usual creatures and races that other fantasies contain: like elves, dragons, orcs, etc… Instead, in my world I focus on people who are born with special gifts and abilities. I ask myself why would people possess such gifts, like the ability to see inside the soul (Daughter of Light), and how would they use this power? What choices would they make? My books are not YA (young adult) which also sets them apart from others in my genre. I write about deep, dark stuff, but not with all the graphic details. And my characters are adults, with adult issues, ideas, and desires. 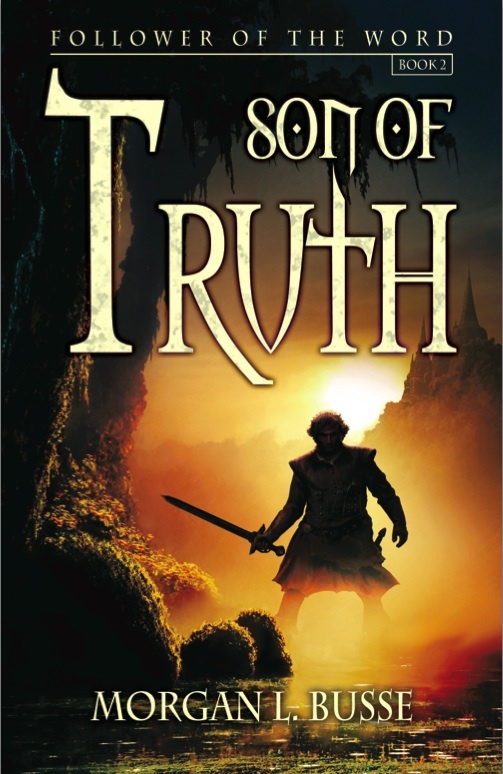 My work has been compared to Terry Brooks’ Shannara series and Terry Goodkind’s Sword of Truth series. A lot of authors answer this question differently. Some absolutely love writing and can’t imagine doing anything else. Some write to tell a story, others write to explore issues. I originally wrote because I had this story inside me. But as the years passed and the rejections came, I needed more of a reason. I didn’t know if I would ever publish this series, but I still wanted to write it. I wanted to leave this series as a legacy to my children. The Follower of the Word series is a reflection of my own faith: my fears, my doubts, and my exploration of what does it mean to really follow God? I know any story I write will have bits of me inside it. And will probably have some element of the fantastic, too. That is who I am: a mixture of questions, faith, and imagination. That is what I write. That is probably what I will always write. ~I plot months to years in advance before writing a novel. ~Storyboard my book a couple days before I start writing (this is the outline I follow). ~Rewrite and edit (I’m fast at this). ~I have beta readers read the manuscript and give me their feedback. ~Turn manuscript in to my editor. Of course, that’s only the beginning. Then there are all the edits from my editor, proofs, etc… before I finally hold the book in my hands. But as far as my own process, this is how I write my books. 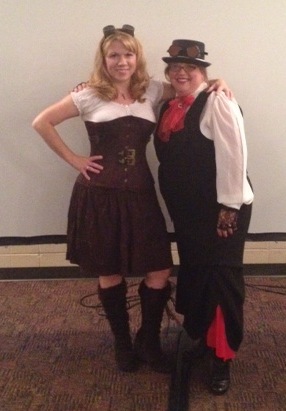 Thanks, Ralene, for inviting me to be a part of this blog hop. If you are looking for a freelance editor or advice on marketing, look her up (www.raleneburke.com). The great city of Thyra has fallen and shadows spread across the country of Kerre. 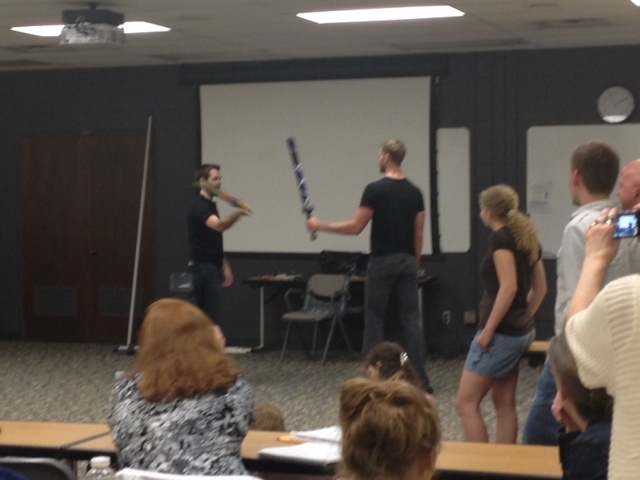 Rowen Mar, the last Truthsayer, is taken before the Shadonae. But the Shadonae are not who she thought they were. And now they want to claim her as their own. Caleb Tala, former assassin and prince of Temanin, is now a Guardian of mankind. Exiled from his country, Caleb wanders the Great Desert in search of his mother’s past. Along with him are Captain Lore Palancar and Nierne, Thyrian scribe. 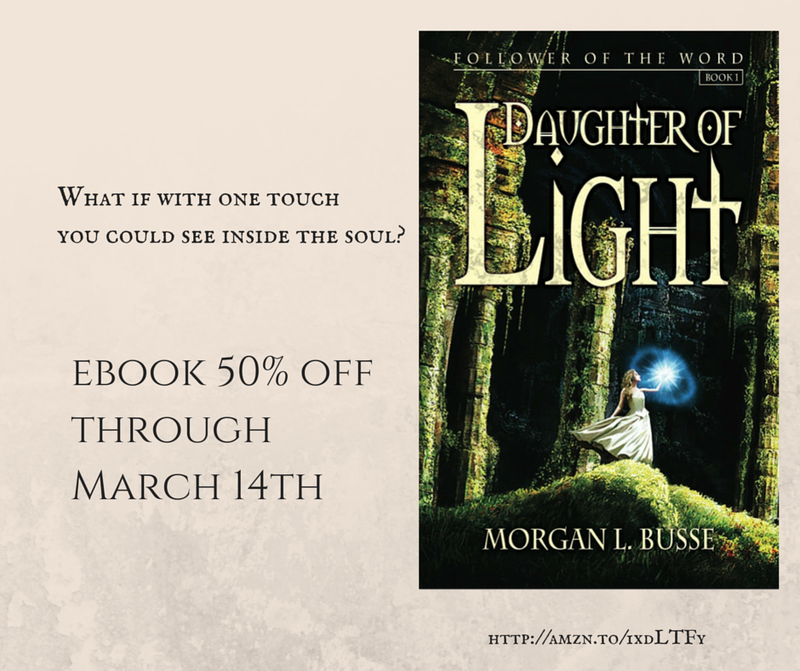 To find out more about the Follower of the Word series, check out Daughter of Light, followed by Son of Truth. Hi! Welcome to the Realm Makers Blog Voyage. I’m going to do something a little different. 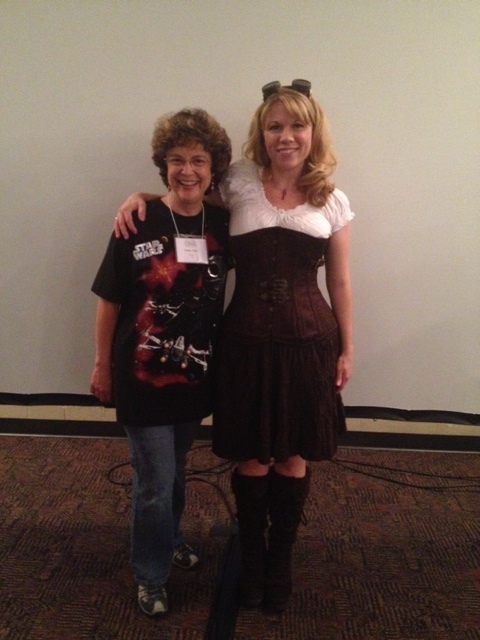 I know others along this blog hop have shared why they like Realm Makers and why you should go. I’m going to share my own experience at Realm Makers, but through pictures. Enjoy! First reason to go to Realm Makers: all the people you get to meet. Authors, comic book writers, editors, publishers, friends. Last year was special to me because I met Kathy Tyers, one of my favorite authors, my editor Jeff Gerke, and many friends who I have only known online for years. And the last reason? It is affordable ($250 plus room and food). You just can’t beat that! Want to find out more? Check out the links: Realm Makers and Realm Makers Facebook Page. And don’t forget to enter the giveaway, which includes a Writer T.A.R.D.I.S. Basket full of goodies (including books by Tosca Lee, L.B. Graham, and yours truly).